Jump up high, conquer all challenges and get a valuable reward. Fancy Pants Man is really excited about this journey. 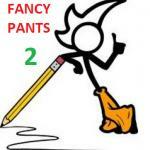 Play Fancy Pants at Friv 4! 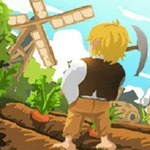 Are you fond of the adventure game? 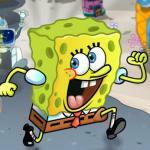 Are looking for an interesting game that give you hours of joy? Well! All your demands will be met at the free friv games. 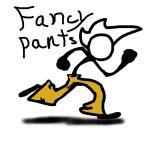 Welcome to Fancy Pants - an adventure of the flexible guy who has the same name. 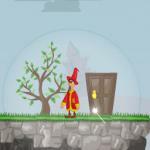 At this game, your role as Fancy Pants Man and start an interesting journey to defeat a big boss which is an angry penguin who Fancy Pants Man accidentally fall upon and wakes from sleeping. There are various levels that you have to walk through which features many obstacles as well as enemies such as spiders, snails, and so on. You can defeat them by jumping upon and crushing them. One key thing for you is to collect as many squiggles which are floating in the mid-air as possible. 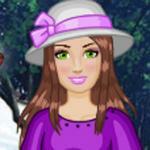 It plays an important role in this friv games. 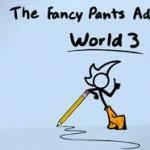 Because it refills Fancy Pants Man’s life when he gets damaged. Besides, snail shells can be used to help you collect more squiggles, so don’t waste them. Do not hesitate any more, join this amazing adventure now and you will discover many new things. After finishing this game, just challenges yourself with many related ones at friv Games 2017 such as https://friv4school2017.net . Much fun! How to play: Move by using the left and right arrows, enter the door by up arrow; the down arrow to duck, slide and roll; press S to jump.